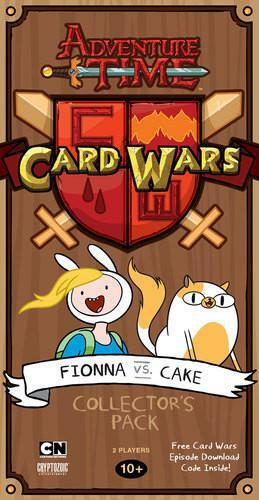 Fill in your details below and we will let you know within 24 hours if we can get Adventure Time Card Wars: Fionna vs Cake to you with haste! Fionna and Cake are the loveable, cute, and alternate-reality female versions of our heroes, Finn and Jake! Straight from the "Fionna and Cake" episode of Cartoon Network's Adventure Time, these characters have not only swapped genders, but Cake is now a cat. Meow! Their decks for Adventure Time Card Wars take us back to where it all started - the classic Cornfields vs Blue Plains!